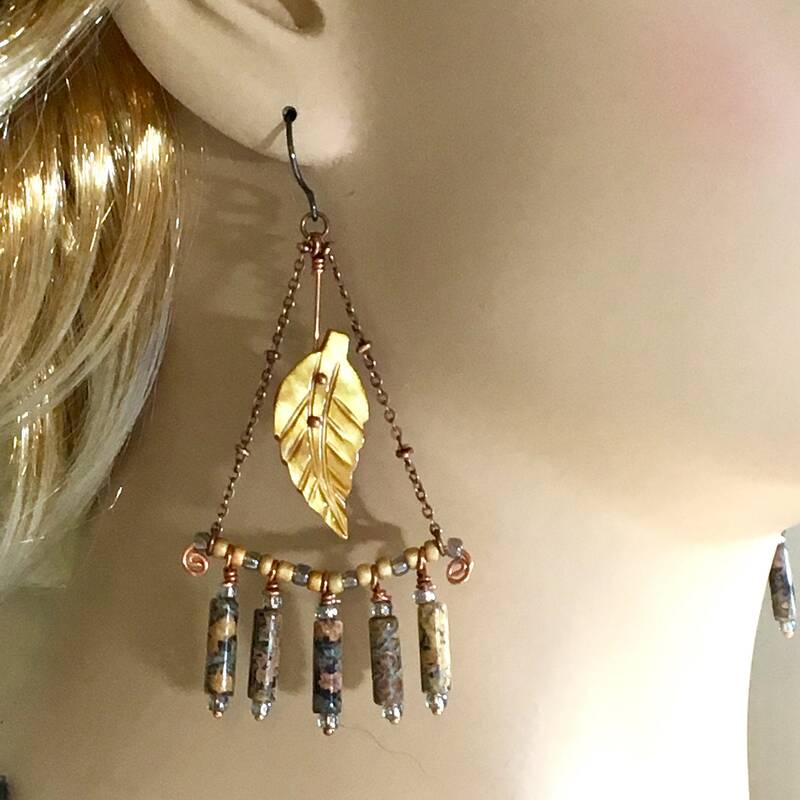 Long and wonderfully swingy, original chandelier earrings have an elegant boho hippie feeling. 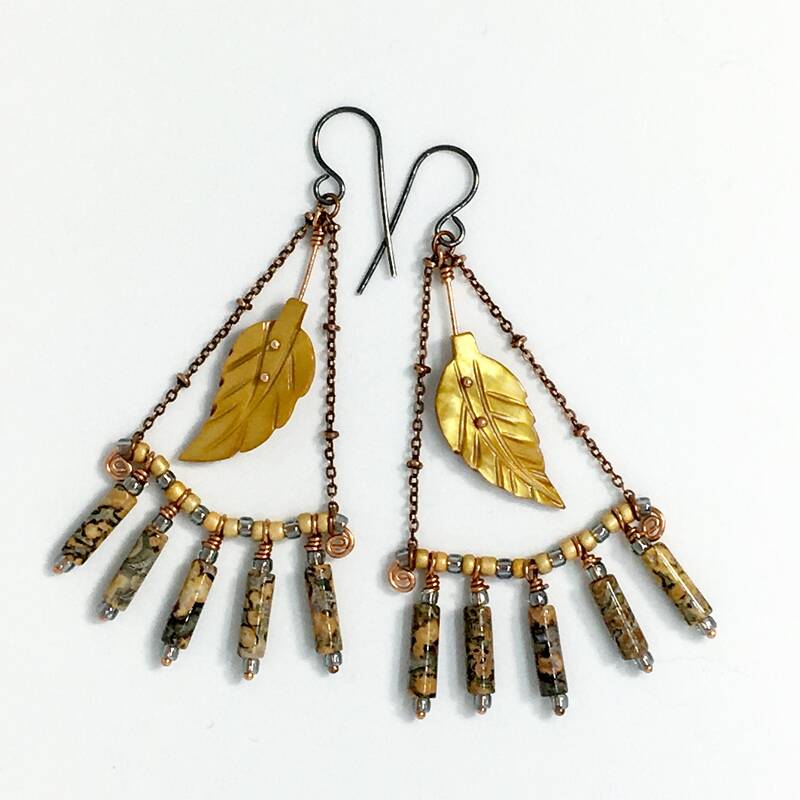 They are constructed from beautifully variegated Mexican Leopard Jasper, Czech Glass, and copper. Hand formed copper wire and chain create a triangle shape. 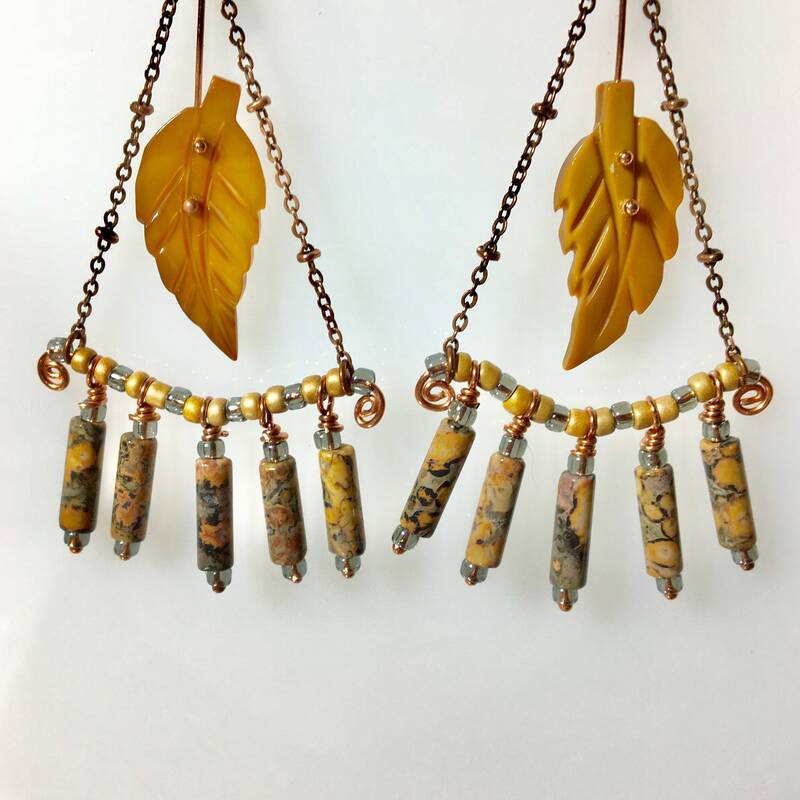 Dangles of wire wrapped naturally patterned stone tubes hang from the bottom of this triangle and a luminous golden yellow leaf, hand carved from mother of pearl, hangs in the center. 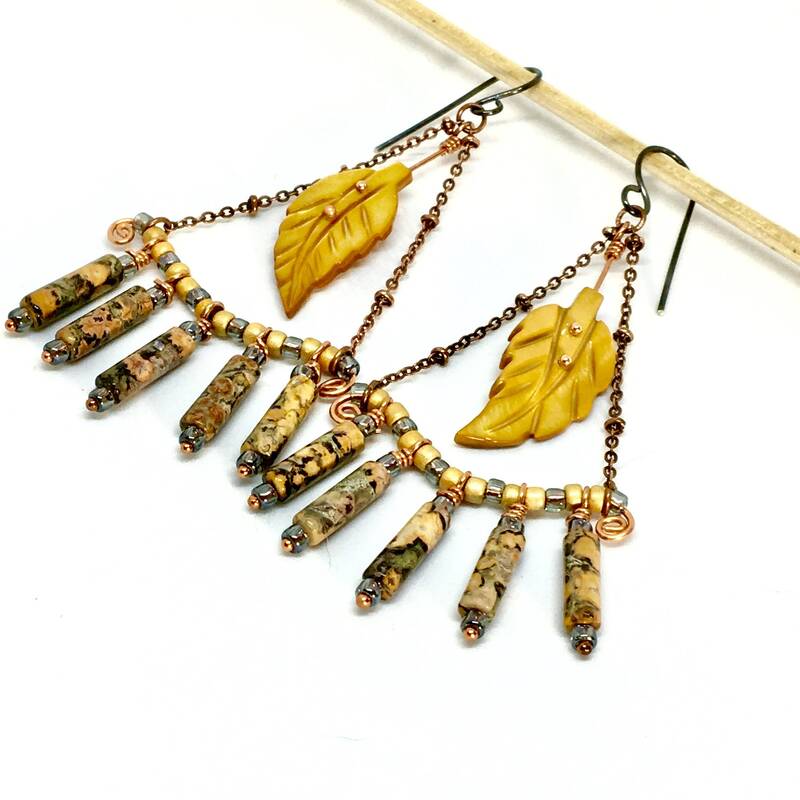 The overall feeling of these earrings is wonderfully mother earthy. Their nature vibe will cross seasons and work with many different styles. 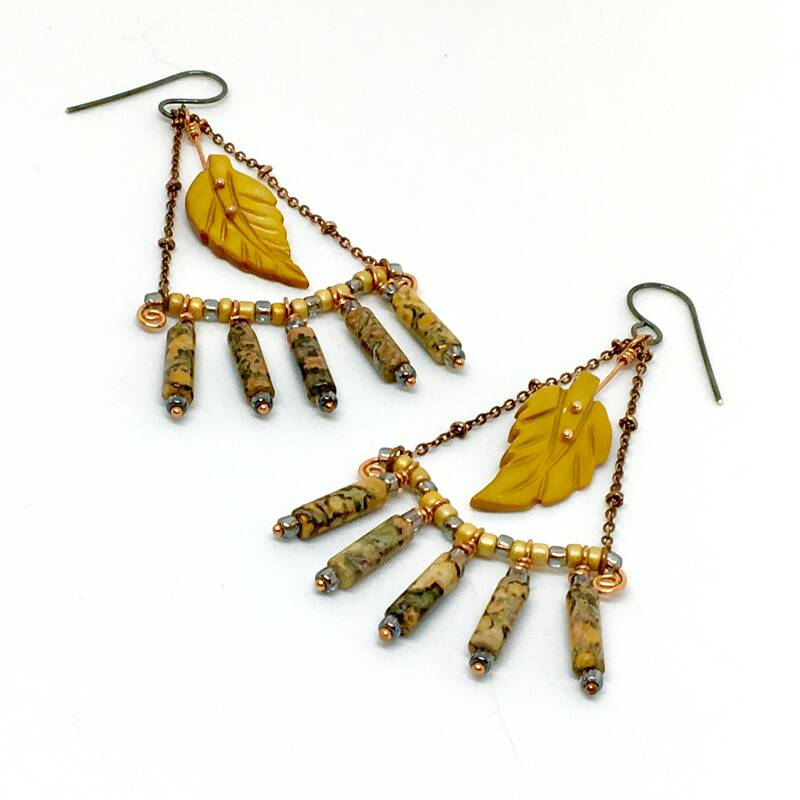 There is natural variation in the patterned Leopard Jasper with golden yellow & gray as dominant colors. 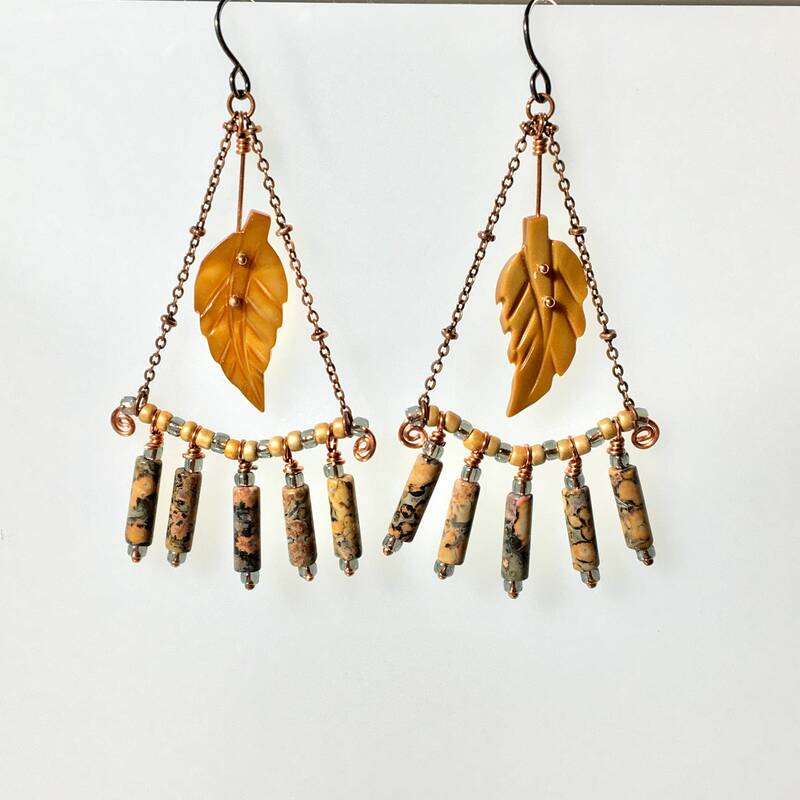 My original design is just over 3” long, measured from the top of the ear wire, and are just over 1” wide at the widest. 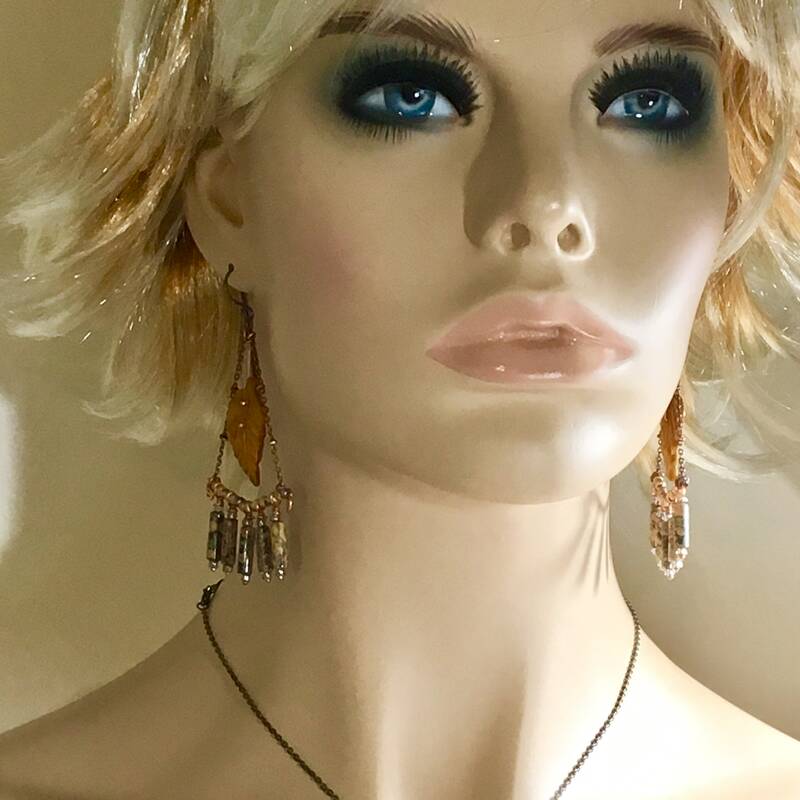 These artisan hand crafted earrings have a great Original look. 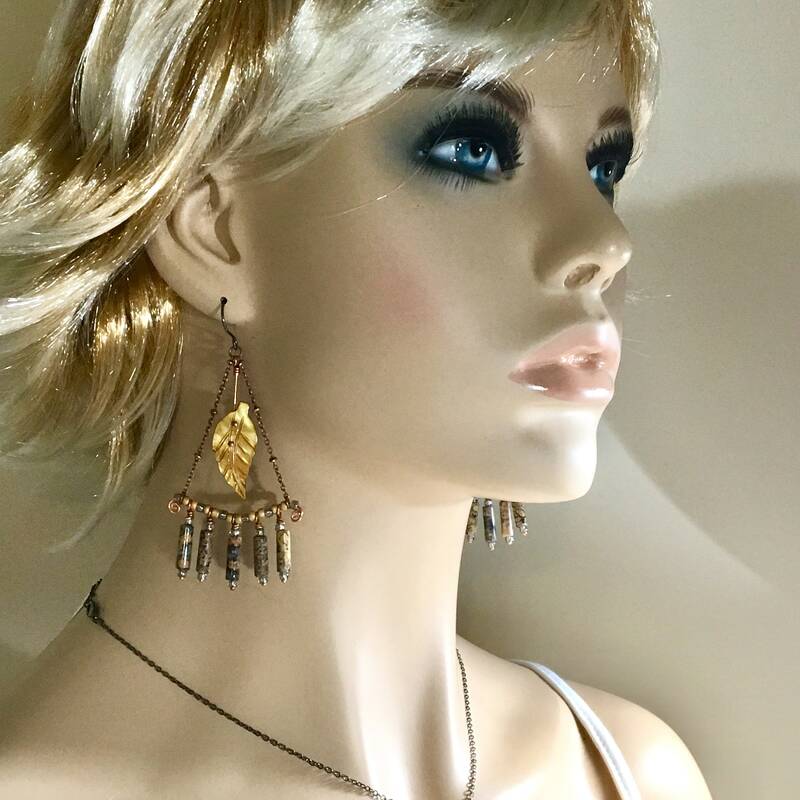 They are swingy and easy to wear.